CQUni Mackay Bachelor of Business/Bachelor of Professional Communication student and dual scholarship recipient, Cody Vella, wants to create change for mental illness sufferers. Growing up in a tight-knit rural town one hour north of Mackay has taught Cody Vella the importance of community spirit and the need to support those affected by adversity. In the third of his four-year Bachelor of Business/Bachelor of Professional Communication degree, Cody said he is now one step closer to pursuing a career in community engagement after being the fortunate recipient of the CQUniCares Stage and Audio scholarship and Winchester Foundation scholarship. “Securing the scholarships provides a range of opportunities; the CQUniCares Stage and Audio scholarship includes a key industry placement that will be fundamental to my professional development,” he said. “The placement will not only provide networking prospects during my studies but also hands-on experience, which will give me a headstart over other graduates. “Additionally, the funding has allowed me to move on to the CQUni Mackay Ooralea Student Residences where I have met a diverse range of people, taken advantage of on-campus student opportunities, and immersed myself in the local community. 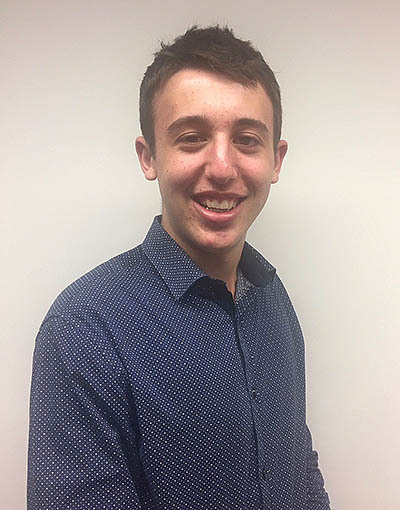 While he currently juggles studies, numerous CQUni student roles and helping out on his family’s farm during vacation periods, Cody is confident his passion for mental health advocacy and future qualifications will make a difference to regional communities. “Unfortunately a mental illness is not seen in the same light as a physical injury, even though sufferers feel debilitated and stressed just as any physically hurt person would,” he said. Business Lecturer Maree Franettovich described Cody’s scholarship opportunities as “much more than financial support; they’re invaluable to a student’s success”. “Receiving higher education scholarships opens up a range of opportunities and allows students to realise their career goals,” Ms Franettovich said. The CQUniCares Stage and Audio Scholarship is donor-funded, providing financial support and development opportunities to applicable third-year students. The Winchester Foundation Scholarships assists children and youth living in rural and regional areas to ensure they are afforded the same educational opportunities as those living in cities. For more information on scholarships on offer at CQUni, visit www.cqu.edu.au/scholarships.